Sorry, we are currently sold out of 'Mario and Sonic Olympic Winter Games Wii'. 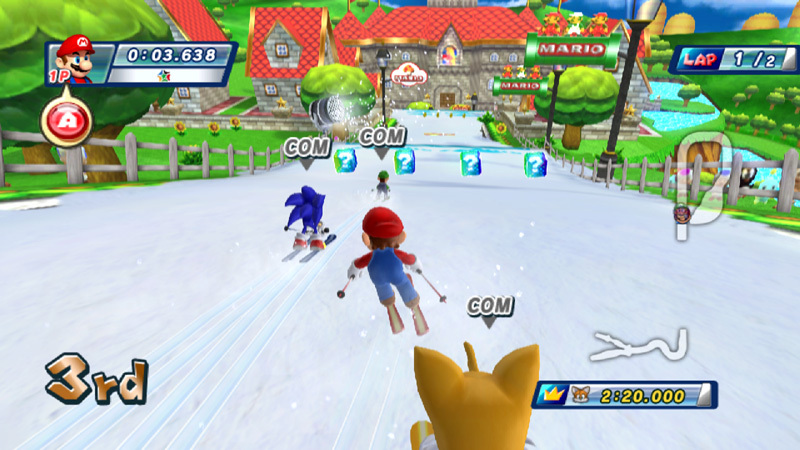 Mario & Sonic at the Olympic Winter Games is a sports party game that takes players on the Wii platform to Vancouver, Canada, host city of the official 2010 Olympic Winter Games. 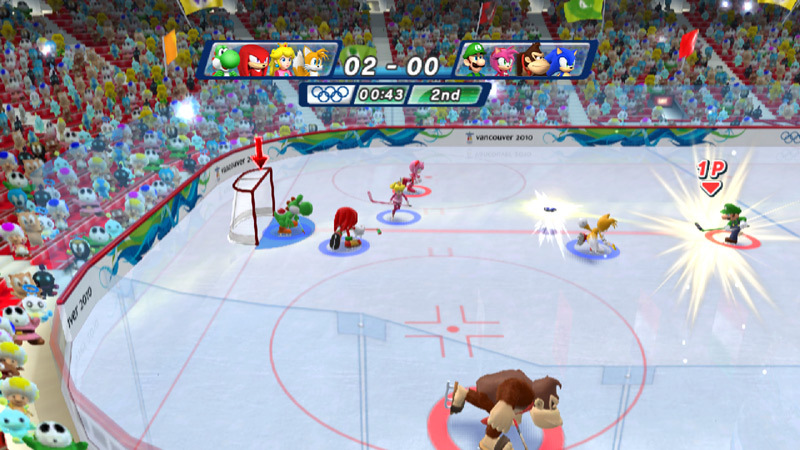 This gaming experience invites players of all ages and skill sets to face-off in intense winter competitions in lifelike Olympic venues where they can choose from a legendary cast of playable characters, including new faces to the series like Donkey Kong, Metal Sonic, Bowser Jr., and Silver. The game features intuitive controls, multiplayer modes and Wii Balance Board functionality allowing for a more interactive and realistic gaming experience. Favorite Sonic and Mario characters. Like the previous game in the series which centered around the 2008 Summer Olympic Games in Beijing, China, Mario & Sonic at the Olympic Winter Games features player chosen characters entered into event from and inspired by the upcoming 2009 Winter Olympic Games in Vancouver, Canada. The game features a variety of play modes, both single player and multiplayer (coop and competitive). Within these players can choose to enter individual events or compete for all the events in the Olympiad. In addition to actual Olympic events players can also participate in winter-themed mini-games sprinkled throughout the game. Due to the overwhelming number of snow and ice sports making up the events of the Winter Olympics, Mario & Sonic at the Olympic Winter Games makes extensive use of the Wii Balance Board, although it is not mandatory for play. Prepare to compete in the Olympic Winter Games with your friends and family like you never thought possible. 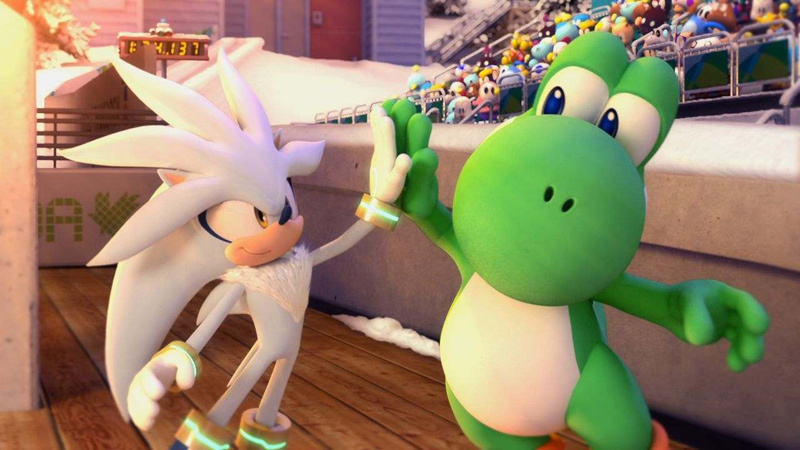 The action in Mario & Sonic at the Olympic Winter Games is made up of a combination of actual Olympic sports and special Dream Events, which are winter-oriented activities all about fun and that are specific to this particular game. Just a few of the actual Olympic events that players can look forward to trying their hand at include: alpine skiing, ice hockey, speed skating, bobsled, figure skating (singles) and snowboard halfpipe. Dream events include, but are not limited to: dream ski cross, dream snowball fight and dream alpine skiing. Play as your favorite characters from the world of Mario and Sonic. All the characters featured in the earlier game, Mario & Sonic at the Olympic Games, are available as playable characters, including Luigi, Tails, Yoshi, Knuckles, Princess Peach, Amy Rose, Bowser, Daisy and many more. Each character comes with his/her own unique movements and stats, making them better suited to certain events and less so to others. In addition to the characters noted above players can look forward to seeing a few new faces, like Donkey Kong, Metal Sonic, Bowser Jr. and Silver. In addition to the wide variety of playable characters available in game, built-in WiiConnect24 functionality allows players to import their favorite Miis into the game as playable characters. 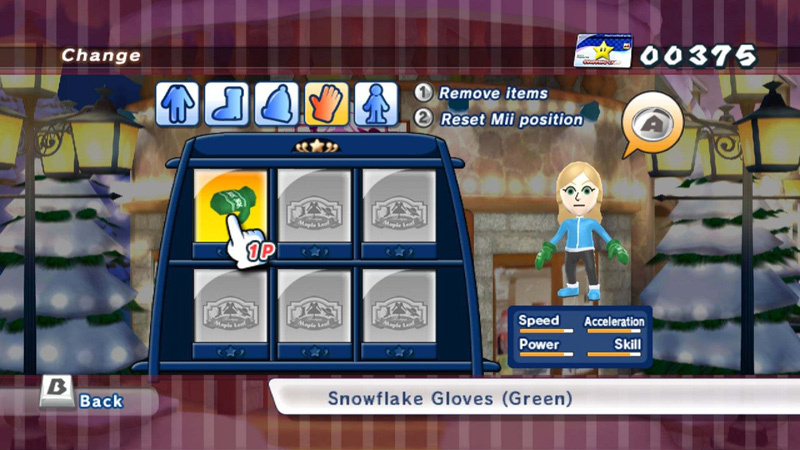 Monies earned for success in-game can be used to customize either game provided characters, or a player's Mii. This is done through the variety of in-game shops available to players. These include: a Boutique for customizing clothing and gear; the Sports Shop where players and buy the gear necessary for events themselves; a Music Shop for fun Mario and Sonic tunes, and more. A Multitude of Events - Prepare to compete in the Olympic Games with your friends and family. Compete in real Olympic events along with over-the-top Dream Events offer surprising objects and new character-specific moves. A Wealth of Character Choices - Choose from a large assortment of characters from the Mario and Sonic game universes. Intuitive Balance Board Controls - Players are challenged to perform a variety of movements using intuitive controls on the Wii Remote/Nunchuk and Wii Balance Board as they simulate real-life movements, and skate, ski and snowboard their way to glory. Single and Multiplayer Options - Get your game on in single, multiplayer and co-op modes that offer fun for players of all ages. Play the Way You Want - Compete in single events in the individual mode and team mode, or challenge your friends to an entire Olympic competition. Festival Mode - A new Festival Mode allows players to experience the full campaign (single and multiplayer). This includes new boss competitions against unique Mario and Sonic characters. Mii Support - Import your favorite Mii's into the game to serve as event competitors. Customization Options - Shopping options throughout the game's Olympic village provide opportunity to buy both the gear and upgrades needed for competitions and to customize the gear that you already have.